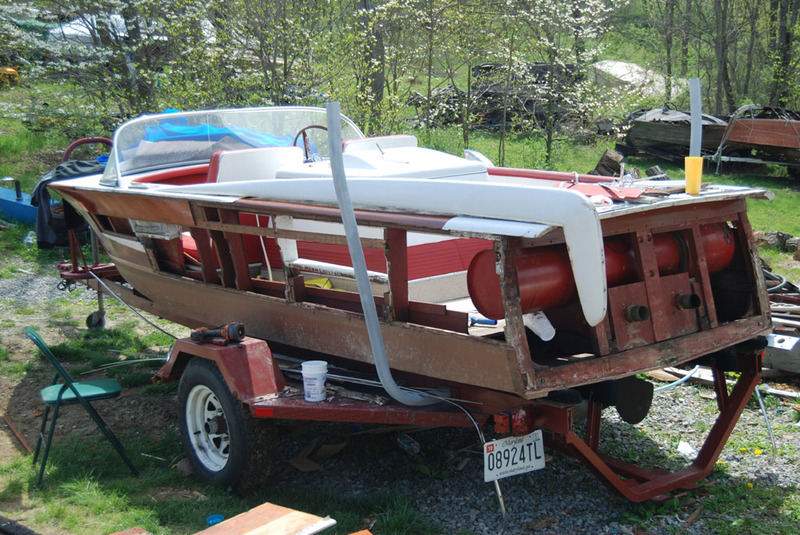 This boat is a little interesting... 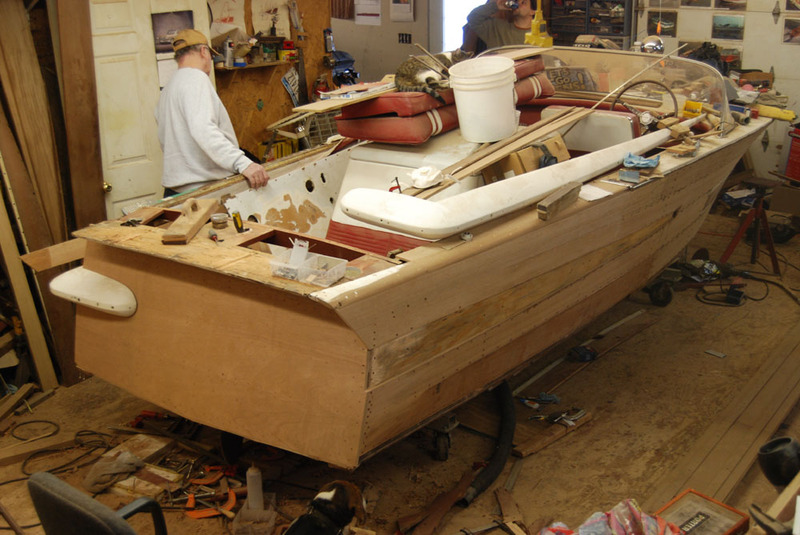 Working on the hull we found out that it was forst being built as a 1964 Chris Craft Super Sport. 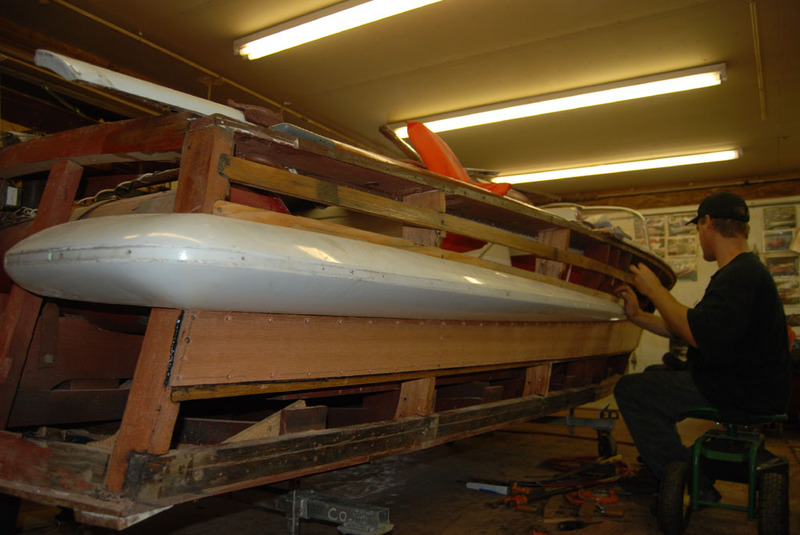 On the Center transom upright frame we found the number 058 and 001 and in pencil on the top transom frame the complete number CUF-18-001. 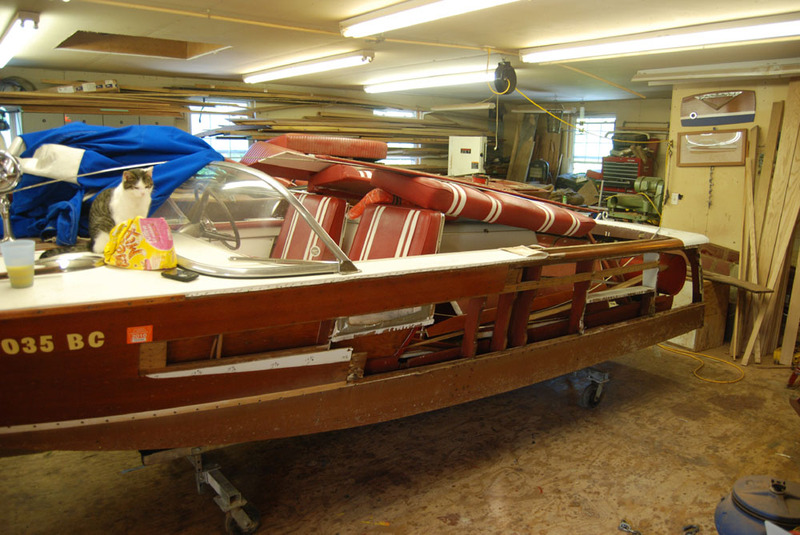 The hull plate and the deck frame just behind the rear seat said CUF-18-0002-C. 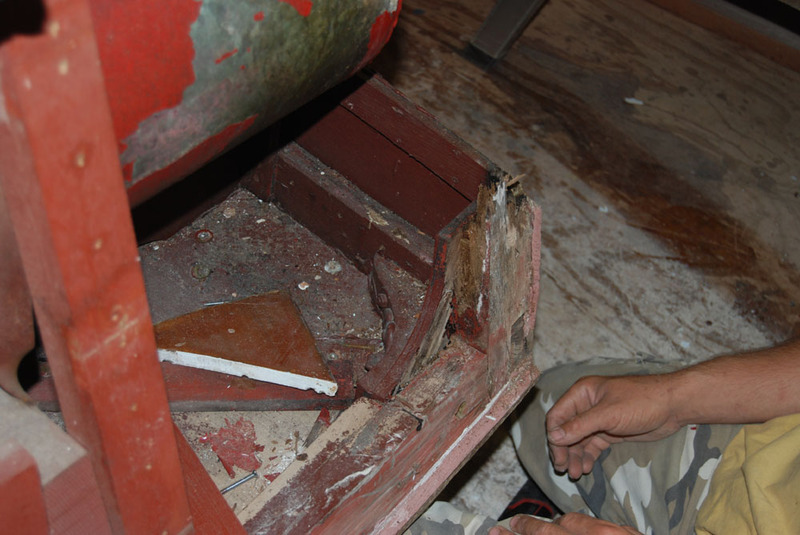 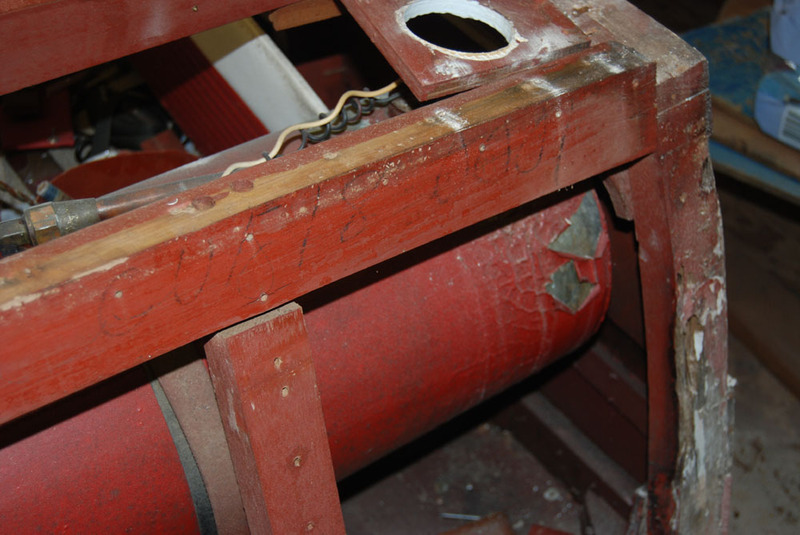 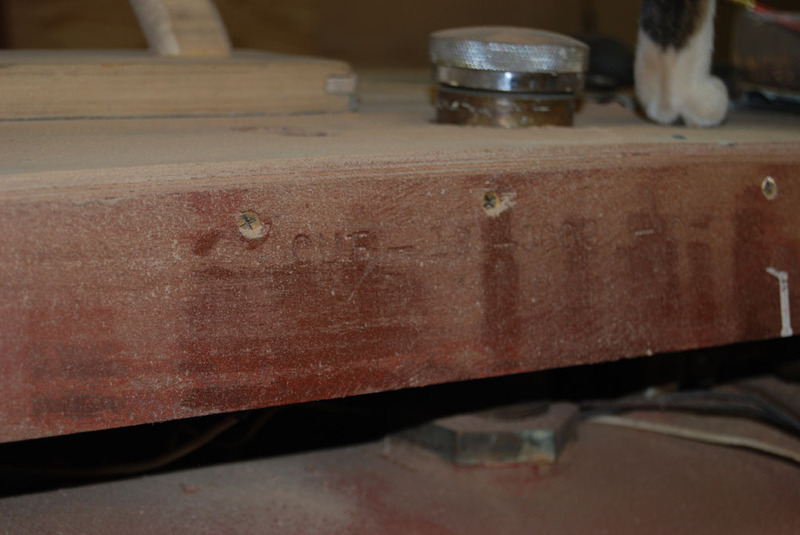 When sanding that piece we also found the hull number CUF-18-0001-C It had been filled in with wood filler at the factory... 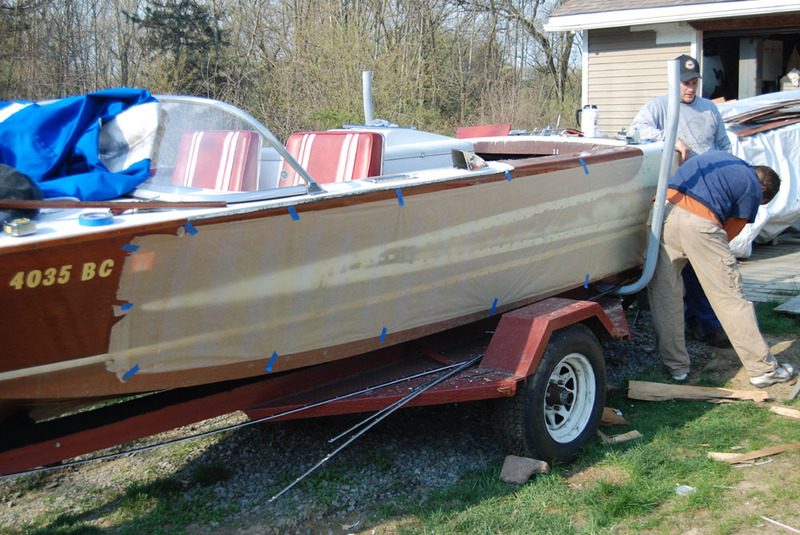 So this boat started out with the hull # CUD-18-058 then CUF-18-001-C then what it was sold with CUF-18-002-C.. 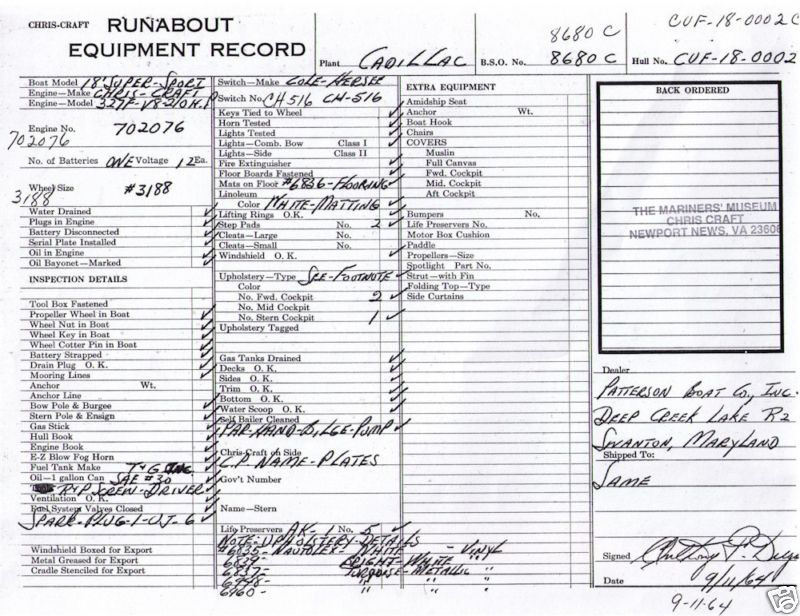 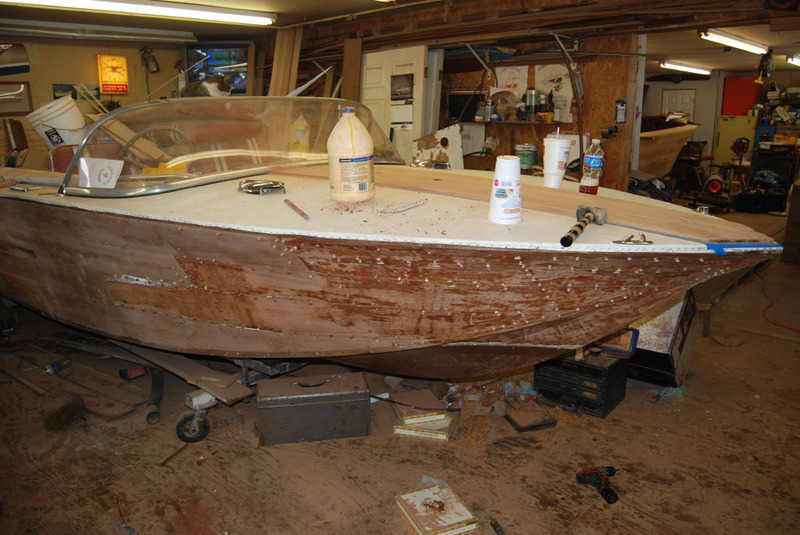 The highest 1964 hull number is CUD-18-065 We are wondering if another CUD-18-058 was built... 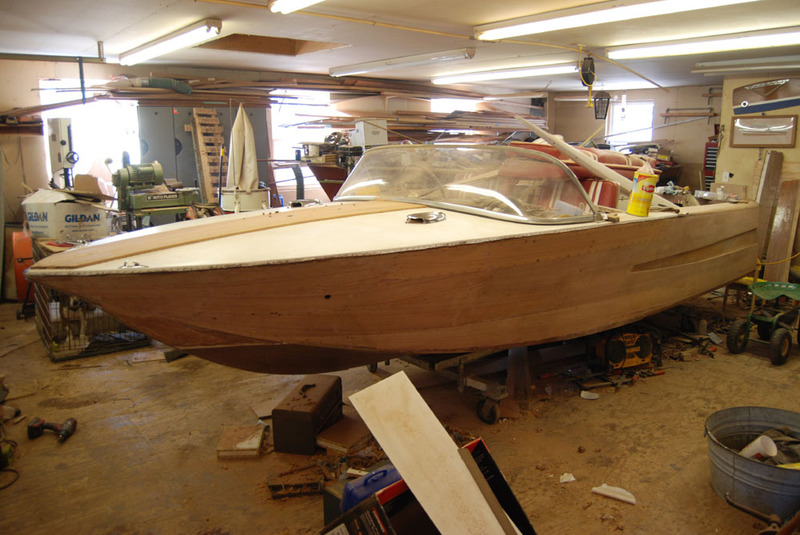 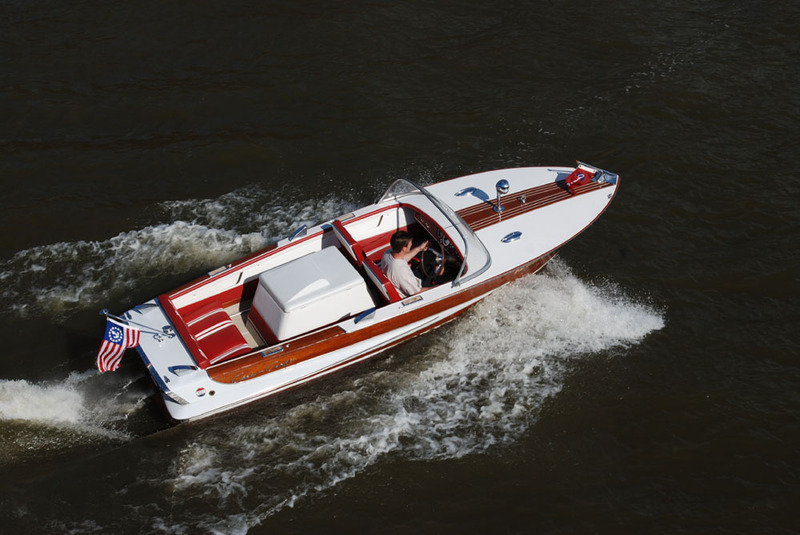 In 1965 there were 70 of these boats built and in the 4 years that they were built there were 205 18' Super Sports built. 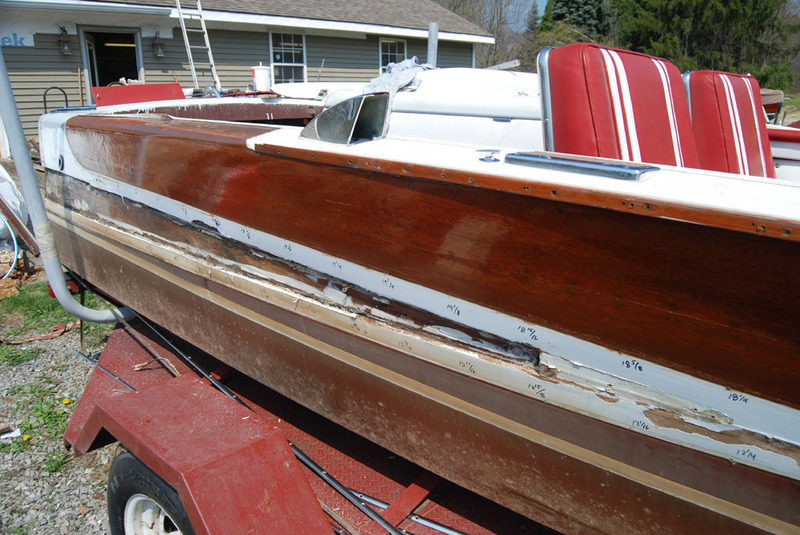 This hull was also used on the 18' Holiday, 1962-1964. 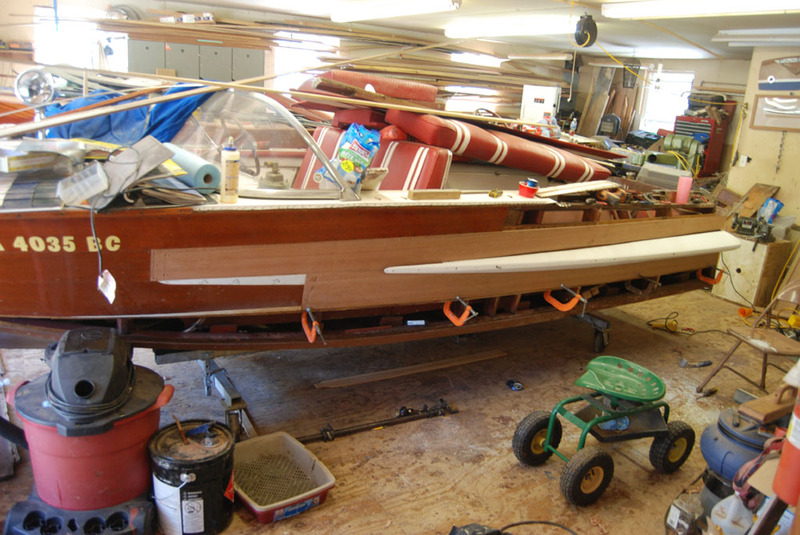 There were 315 Holiday's built... A total on this hull (both the Super Sport and Holiday) was 520 units. 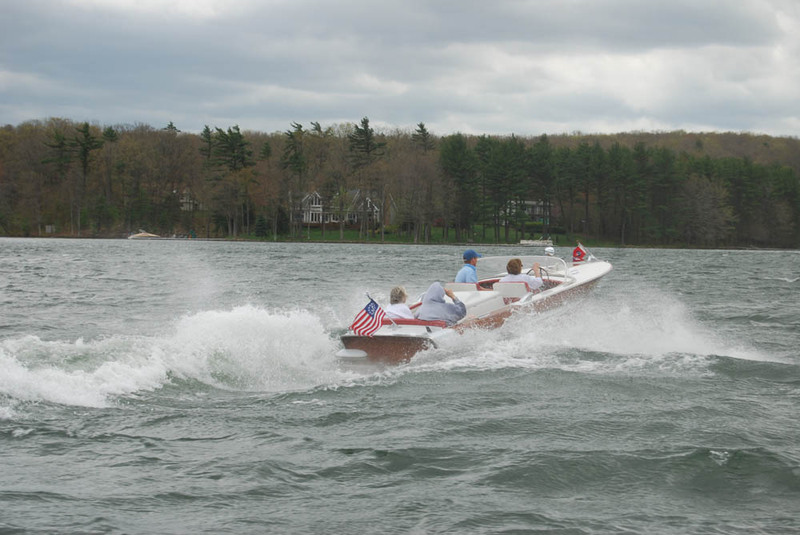 Last ride for the old owner! 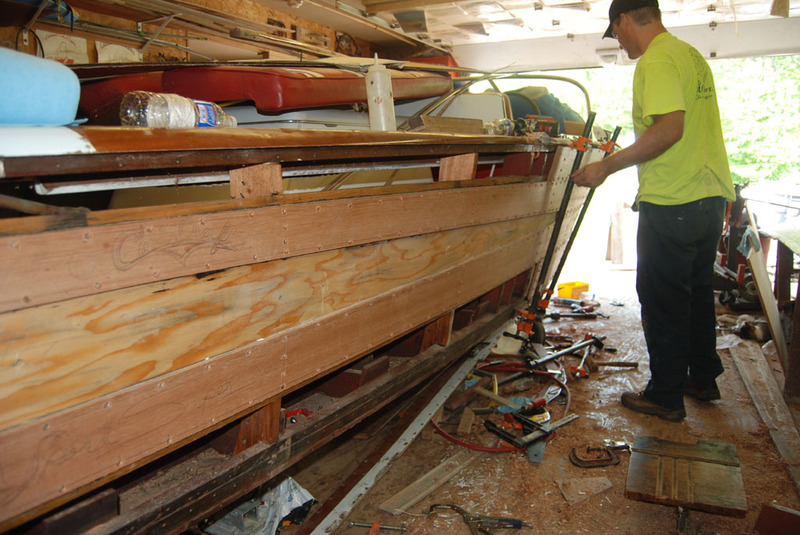 Corner transom frame rotted broke out when we took the boat apart. 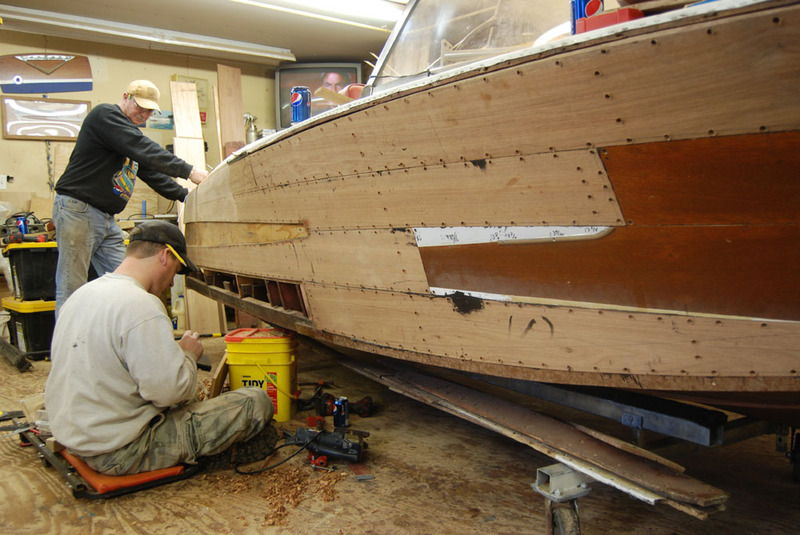 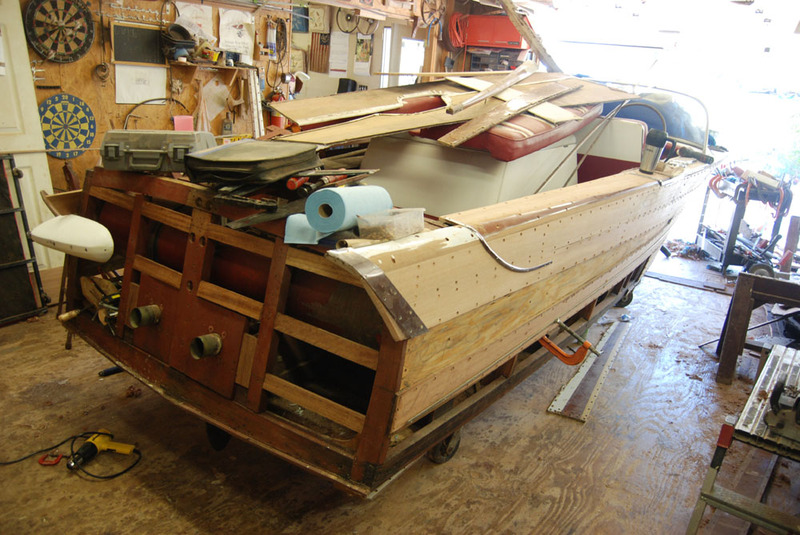 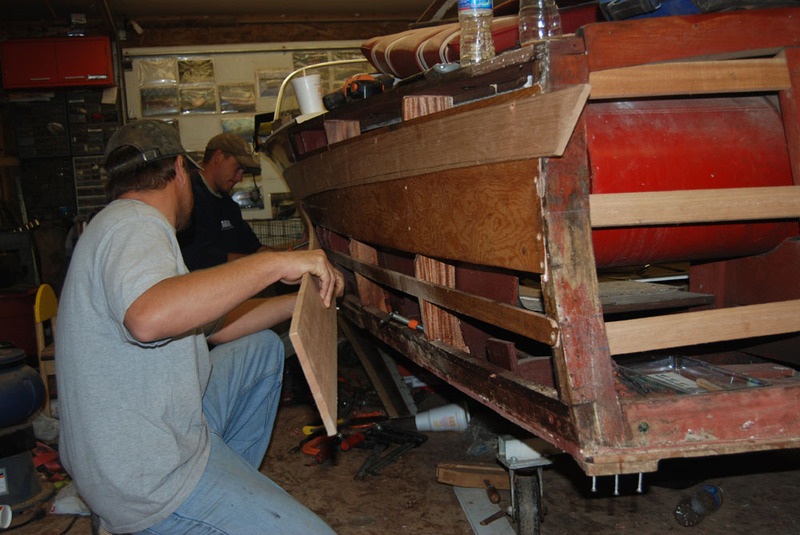 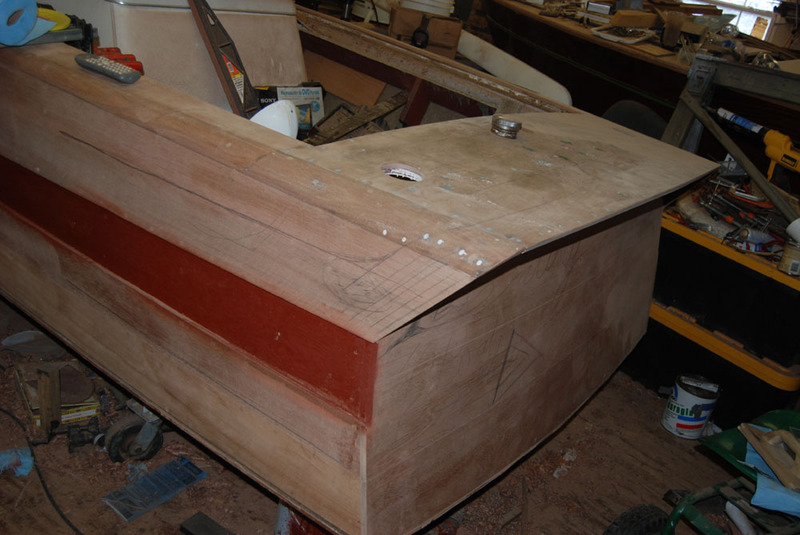 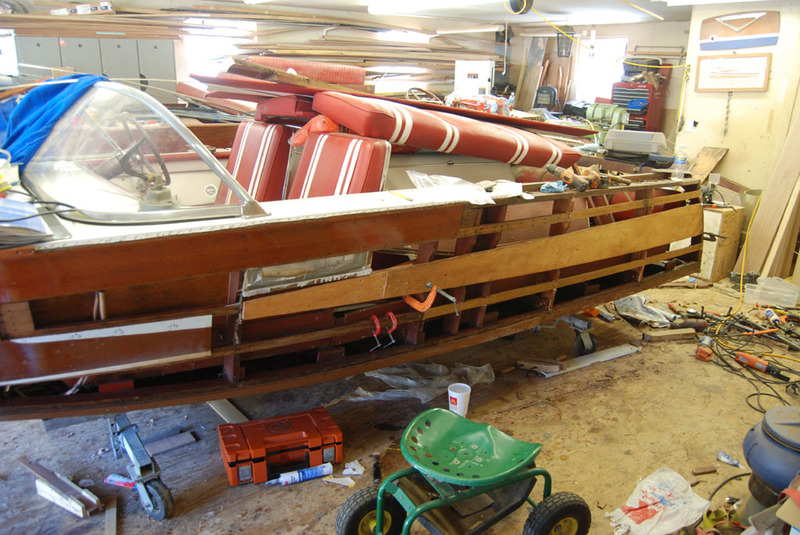 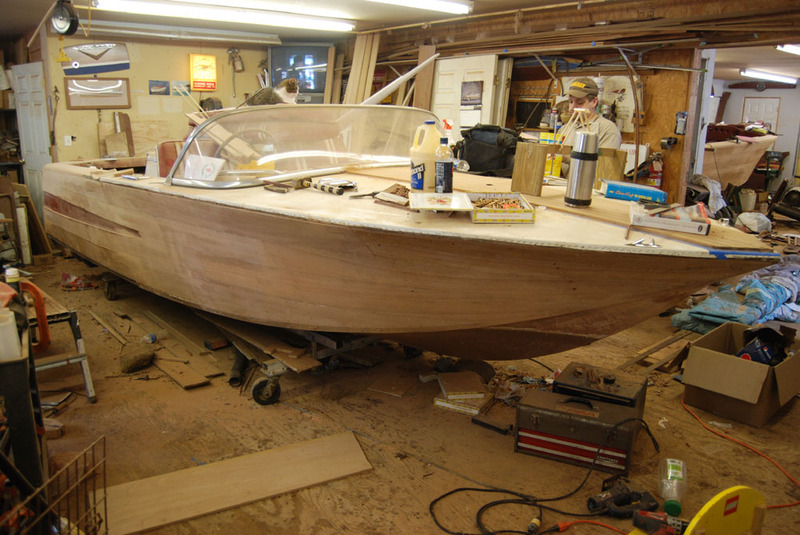 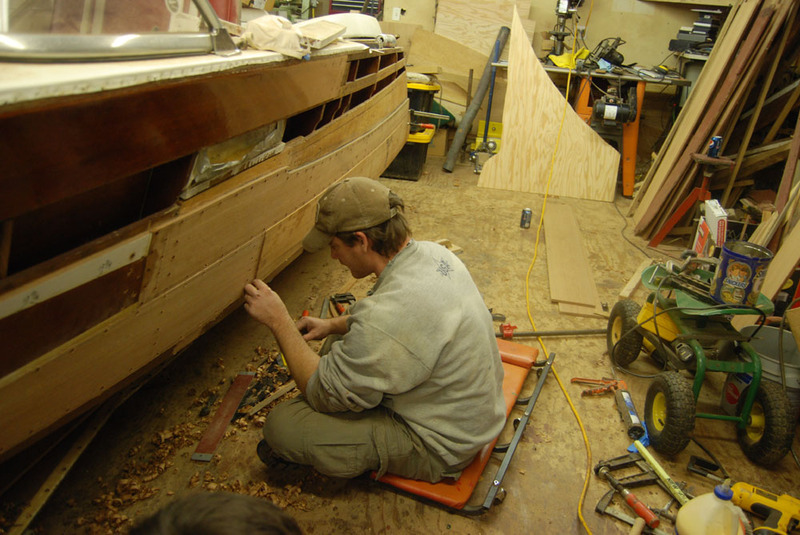 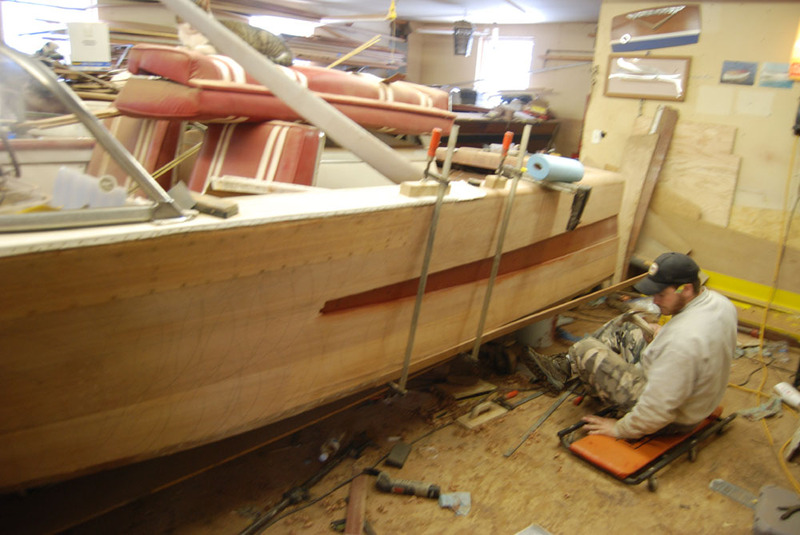 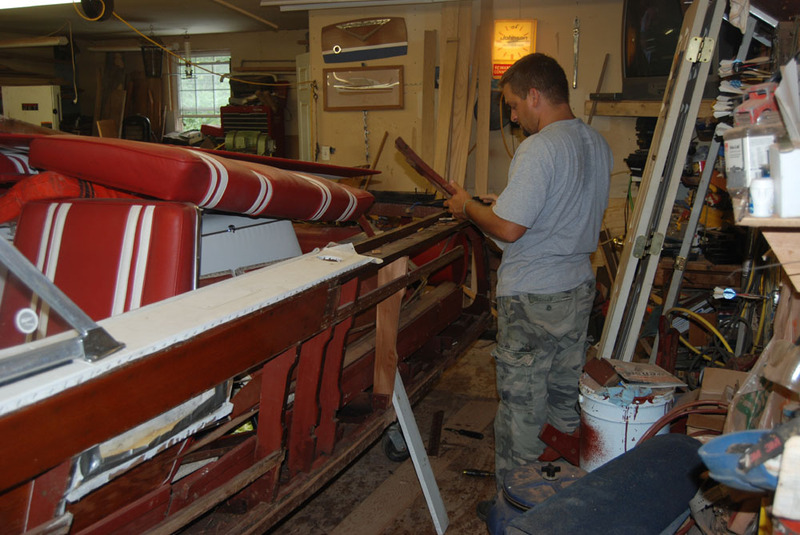 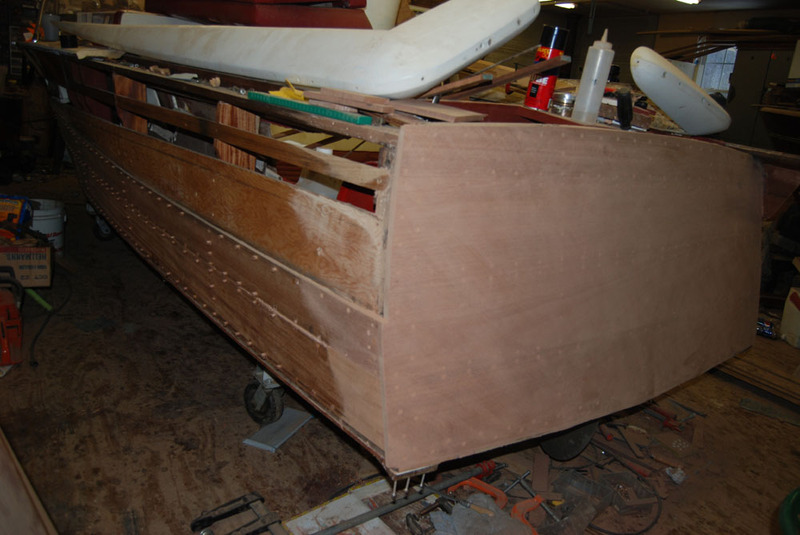 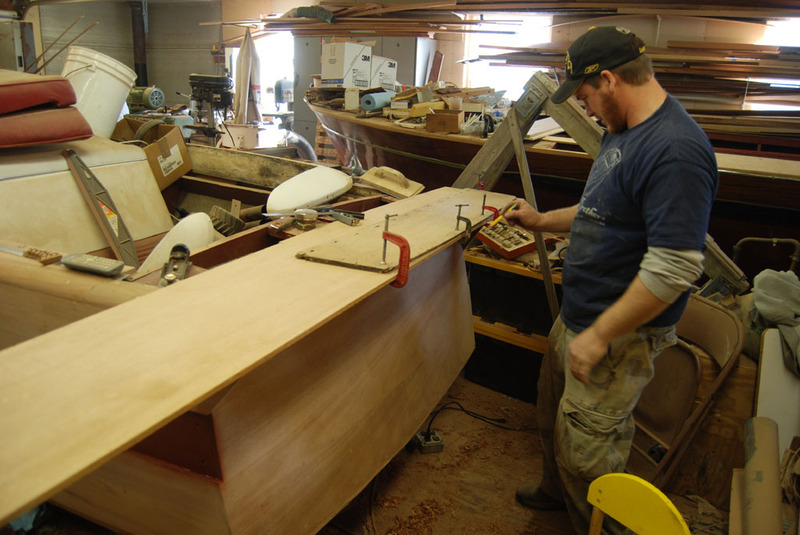 Fitting the new planks to the fiberglass aplaque. 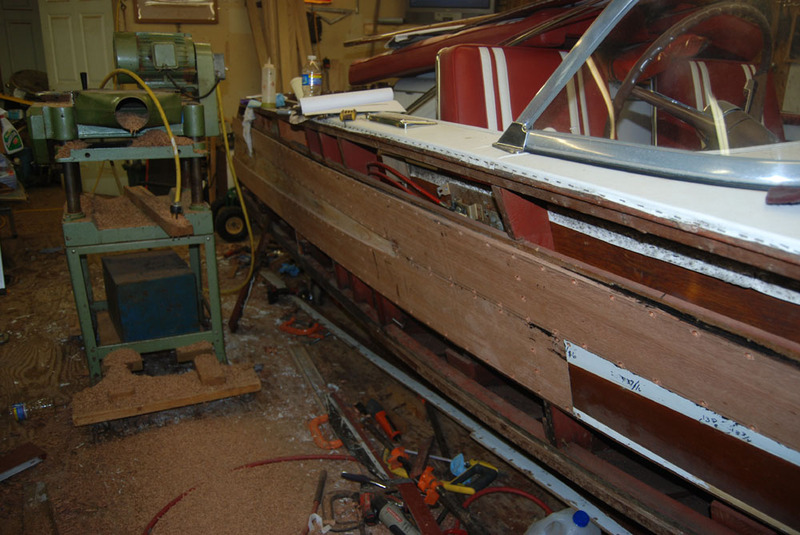 And new transom side frame in place. 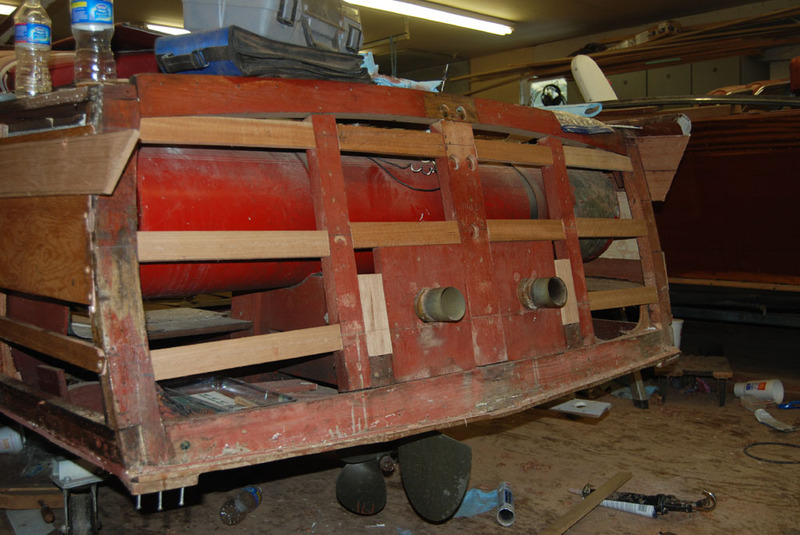 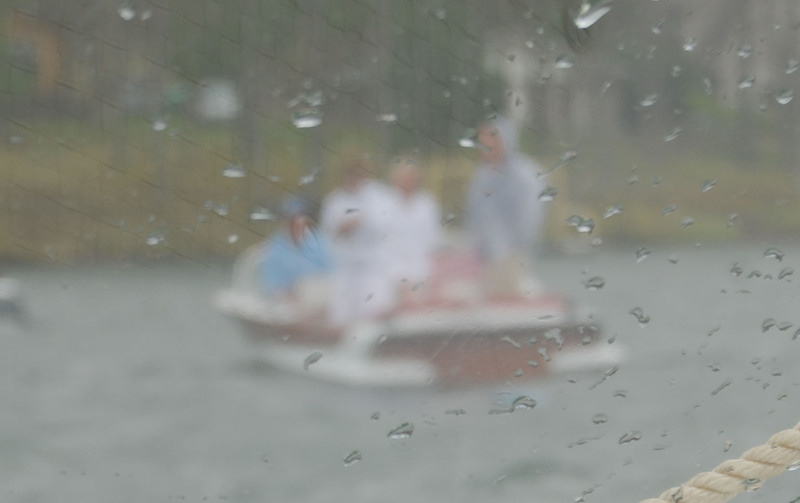 The center transom frame... 058 was the 1964 number... 0001 was the first 65 number... the boat left the factory with 0002. 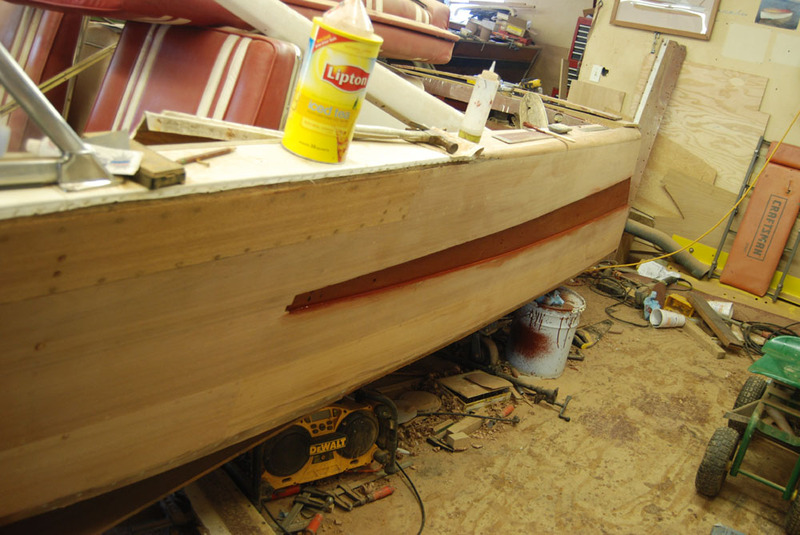 All of the new planking on port side sanded in to match in to old planking...The front deck wood is also stripped to bare wood. 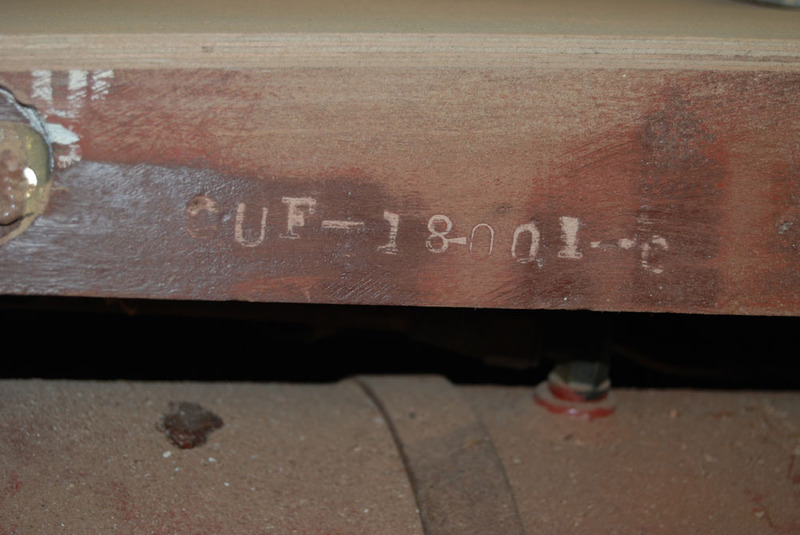 The hull number the boat was shipped as... CUF-18-0002-C. 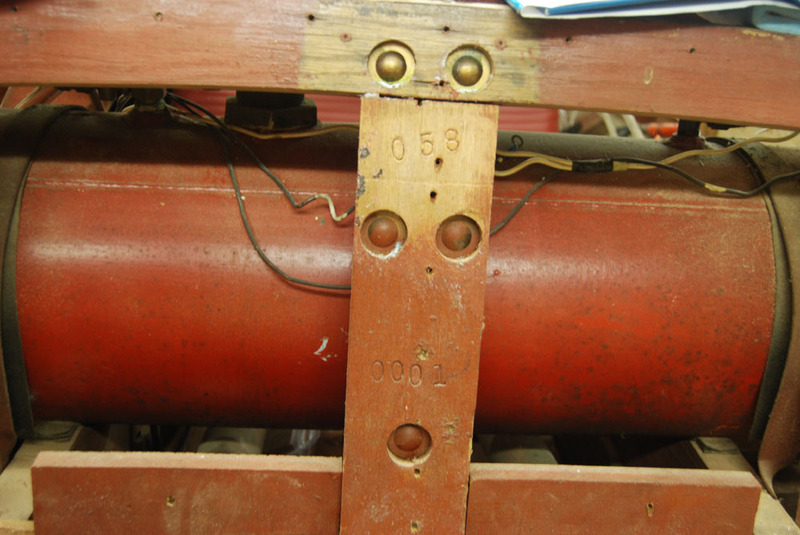 This matches the hull plate in the motorbox... Also the hull card matches the original engine # and location shipped... Patterson on Deep Creek Lake, MD.